Osborn’s concerns were that purchasing the land would be expensive and the enterprise would be too big for a philanthropic effort. He was a supporter of the New Towns movement which empowered Local Authorities to build whole towns. [ii] He continued “it would be the most extraordinary piece of good luck to get suitable land in the right place and at a fair price“. Ebenezer Howard replied on 7 May. “I note what you say about a second Garden City. I will presently write to you fully on this“. In July 1919, Welwyn Rural District Council received a letter from Howard about a Garden City within the rural district of Welwyn. 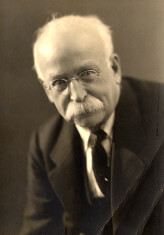 [iv] Ebenezer Howard and three others met the Welwyn Housing Committee on 2 August 1919. The minutes record that “It was considered that the company should be given all reasonable assistance with their plans, but the council will of course recognise that the question of Sewage works and Water works will be one which will have to be considered very carefully”. Frederic Osborn (in spite of his earlier reservations) became secretary to Second Garden City Ltd and in August 1919 was writing to Welwyn RDC about the demand for working class housing. 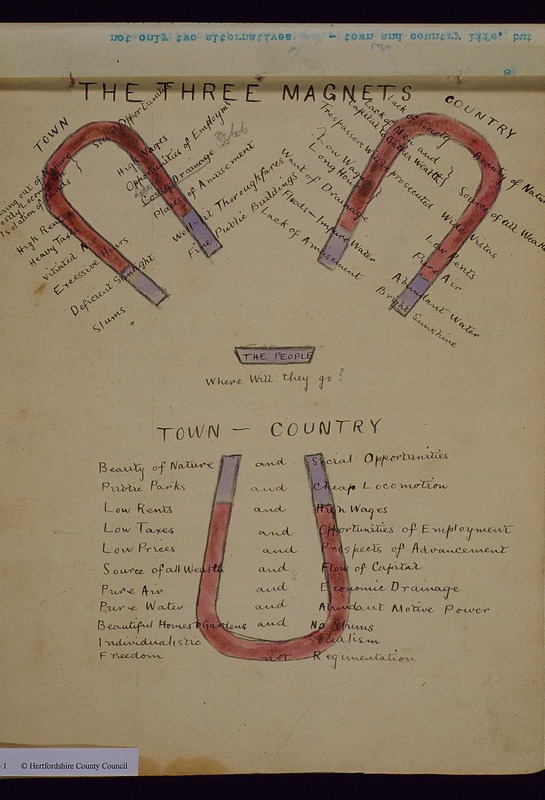 In constructing the garden city, “We estimate that at least 50 houses will be needed for these men after allowing for those who will live in lodgings”. A further 500 cottages would be needed within 2 years. Whilst Welwyn and Hatfield councils could not argue against “homes for heroes”, the minutes of both express reservations about the impact on their local communities. A letter from Welwyn Parish Council dated 2 September expressed concern that a water supply to the Ayots would be affected by the demand from the Garden City estate. At Digswell, the Parish Council noted that the view of parishioners was that with current housing commitments and the “grave national and financial outlook, it is undesirable to proceed with or render assistance to the proposed scheme for a Garden City in the neighbourhood”. 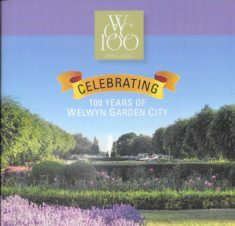 Welwyn Garden City marks its centenary next year. Information on events to mark this is here. [ii] He specifically mentioned an article in that day’s Times about Manchester and Salford Labour Party’s policy for compulsory purchase of estates around the city. [iii] The story of Welwyn Garden City can be found in Maurice de Soissons, “Welwyn Garden City: A Town for Healthy Living” which is available through the Hertfordshire library service, call number 942.586WGC. [iv] HALS/RDC/1/3, Minutes of Welwyn Rural District Council. [v] A proposal to amalgamate the small union of Welwyn with Hatfield had been proposed in 1846 but met with an objection from Lord Salisbury who wrote that Hatfield did not wish to be united with any other parish “for other parishes are hardly in a state to be joined to us, but the addition of about the worst population in the County could throw us back twenty years“. (Correspondence between the 2nd Marquess of Salisbury and the Poor Law Commission quoted in Nicky Webster, “My Lord Salisbury”, Leicester, 2016). [vi] HALS/RDC7/1/8, Minutes of Hatfield RDC. [vii] HALS/RDC/14/1/4, Minutes of Welwyn RDC. This page was added on 26/03/2019.